I love Etude House. 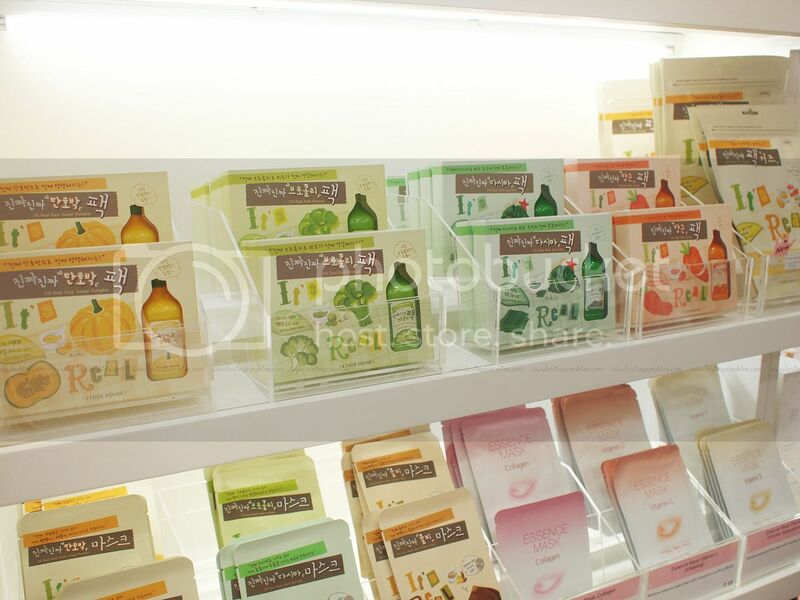 Ever since EH landed the Philippine Seas, I have been a very avid fan of their products especially their nail polishes and yes, no one is surprised, their facial masks. When they opened at MegaMall (has it been three years? ), I immediately got signed up to their Pink Membership program where I earn rewards points equivalent to e-purse for every purchase. EH also has this 500, 2000 and 3000 purchase rewards which always inspires me to buy face masks! For example, I'm buying a lipstick worth Php500 and I am buying my favorite face wash which I reveal below, my cart would be roughly Php1,000. You know what I'd do when I reach that amount? ? ? I'd hoard face masks!!!! Seriously, sometimes I leave EH branches with 20 face masks haha Recently, they launched a new line of Face Masks called It's Real. It's Real is not made of mere extracts... they are made of natural ingredients so they are a more premium range. Being a fan of anything naturally derived, I was sure to be the person to judge. Read more after the jump! The It's Real line has both a pack and a sheet mask variant. Above is the display for the sheet masks (my preferred type); while below are boxes for the mud pack type of It's Real masks. 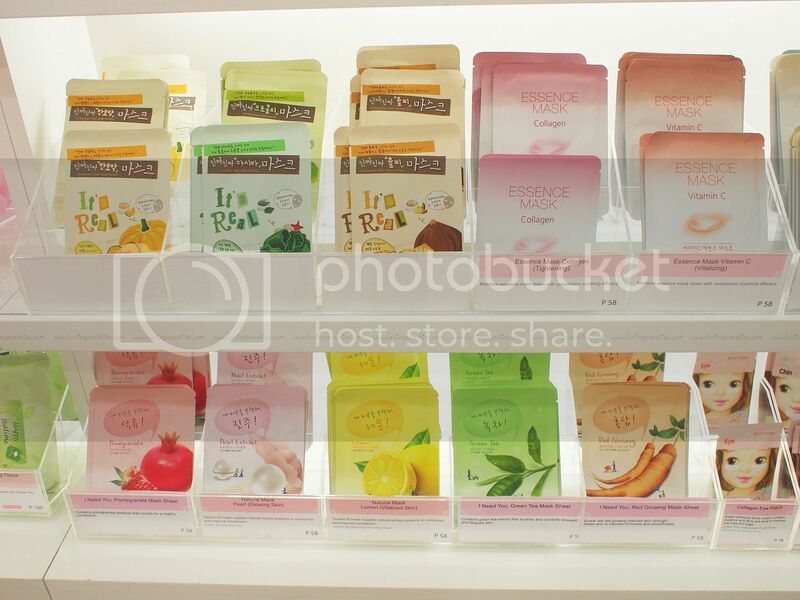 Etude House has a glorious array of Face Masks that I'm absolutely fond of. I love using their Essence Mask on a weekly basis. I think masks really help nourish and replenish your skin's radiance. So let me talk to you about the It's Real Face Mask that I tried, the Sweet Pumpkin Mask Sheet (Php128, approx $3) that is perfect for skin that needs elasticity care. 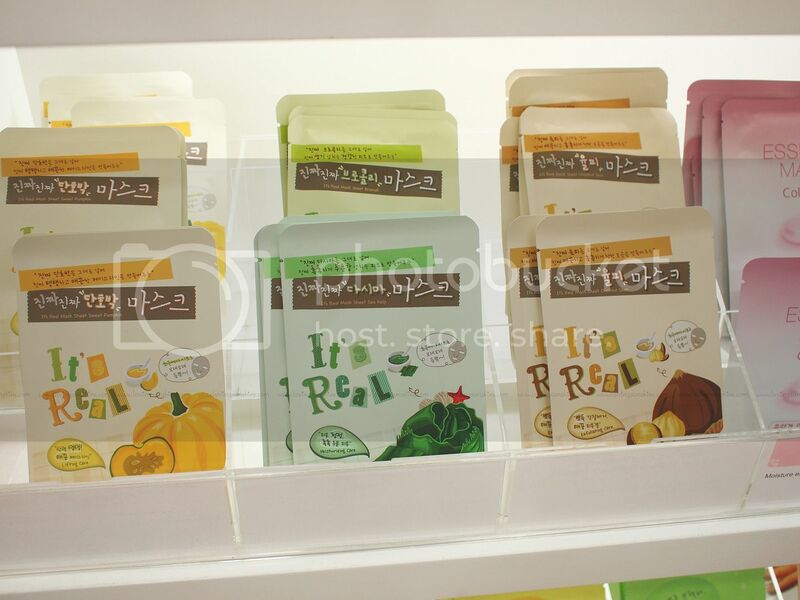 Using Sheet Masks are more convenient for me because you just pop 'em and let them be. I really liked the effect of It's Real Mask as it gave a noticeable immediate skin softening effect. I'm not surprised about it because the It's Real range is void of the harsh chemical ingredients such as mineral oil, talc, parabens and tar coloring. Coming from a beauty geek perspective, I feel how hard it is to completely go natural even if we all know sticking with natural products are always kinder to the body and the environment. This is why It's Real range made it more comforting and reassuring for me to be a beauty geek. 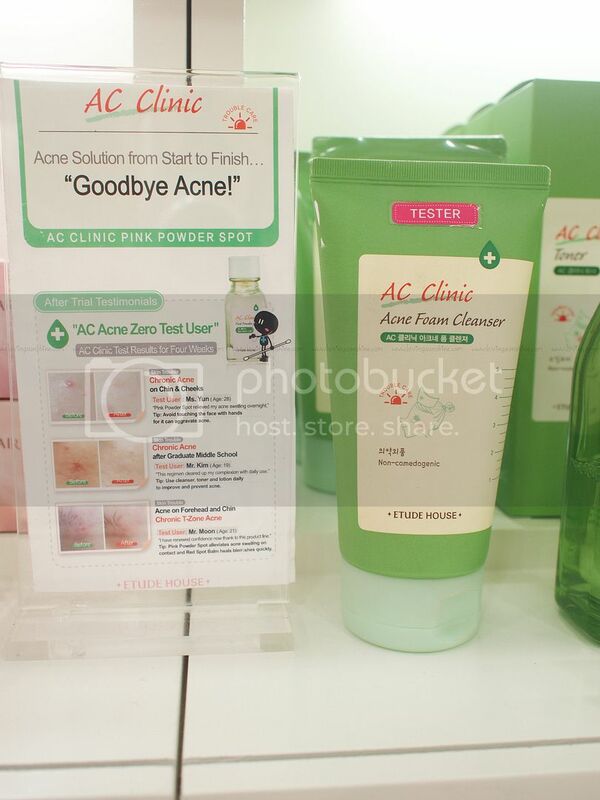 Speaking of re-assuring, since the kind staff from Etude House Market Market branch permitted me to take photos, I made it a point to shoot their AC Clinic product display. I swear to all gods, this is the best and the most effective facial wash out there for clearing and preventing pimples and acne. My acne problem is generally very basic and mild so I only use the Acne Foam Cleanser, but if yours is a bit more adverse, you'd be excited to know that they have an entire AC range for you. 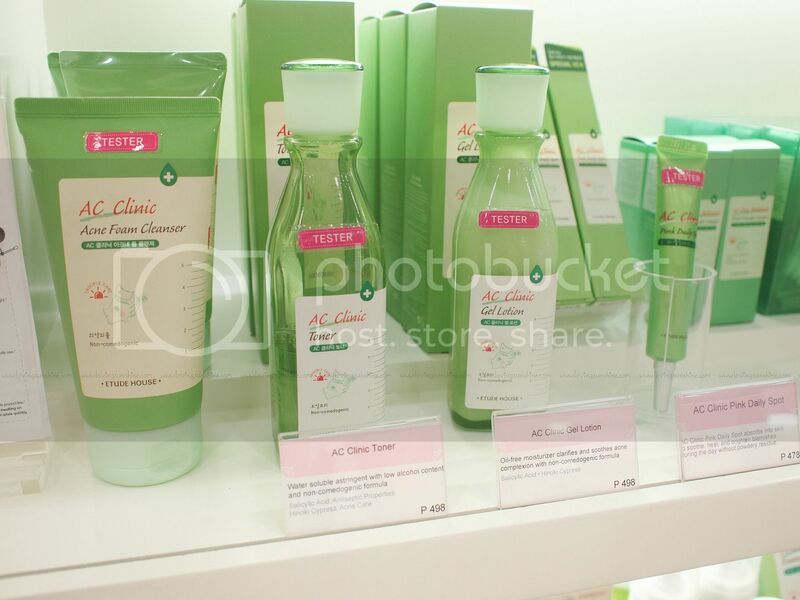 If you're a fan of Etude House too, why not share with me your favorite EH product and I'll be sure to try it out. If you haven't tried Etude House anything yet, you better do so stat! Don't forget to join my $50 skincare treat over here. Thanks in advance for commenting and following my blog! Leaving you with an Instagram shot of my nails today--follow me on Instagram @kumikomae. Like the photo on Facebook please. Oh my! I wanna try these, too! you should. :D wow im excited for you to see how effective AC clinic is! oooh gurl i LOVE your mani!! thanks amz. be sure to let me know if you do! I know how you feel about all natural... its hard to find those products and the consumer doesn't really know what is truly going on behind the scenes, and in the factories. thanks helen. glad you liked the mani! hello annia, thanks for the visit and gluck on blogging! I like their Peach Tea cleansing foam. Smells so good, like candy. The tube is huge too, and it's only P148, I think. How much is the Acne Foam Cleanser? I like the nails! Is that the etude house nail trio or something else?